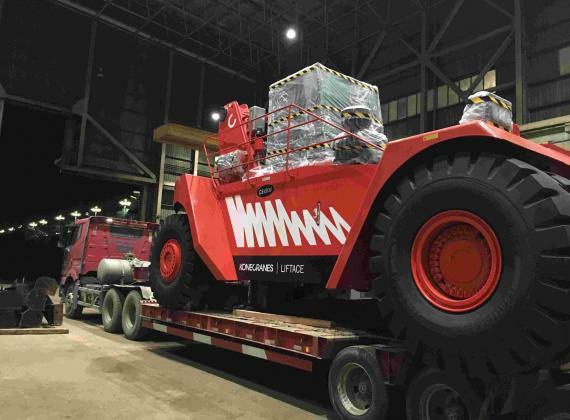 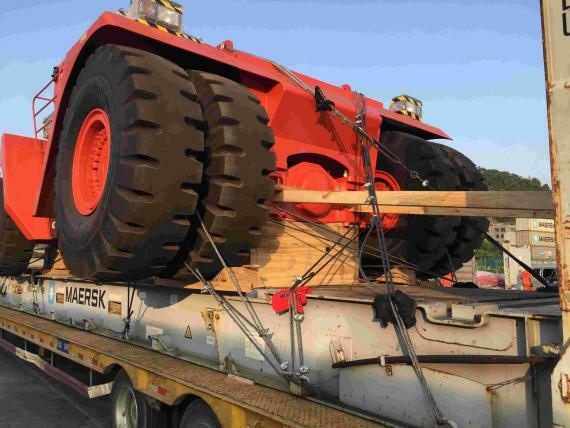 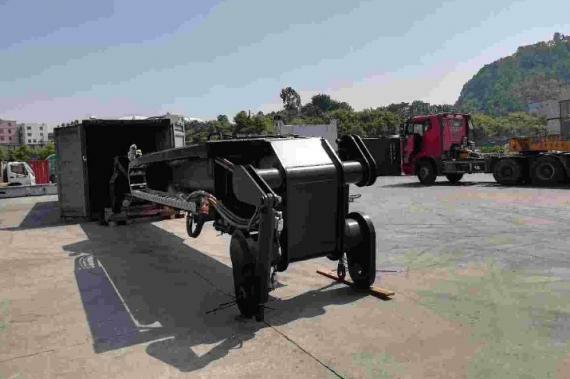 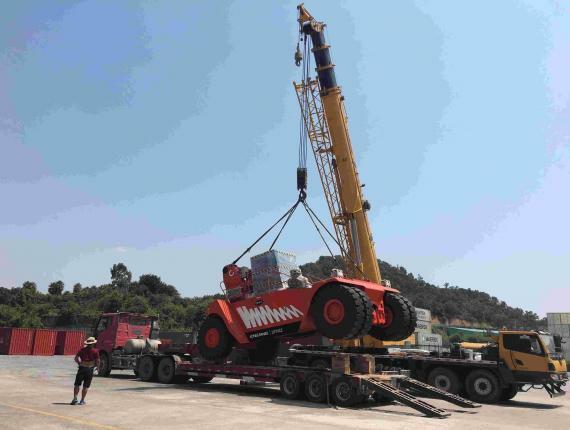 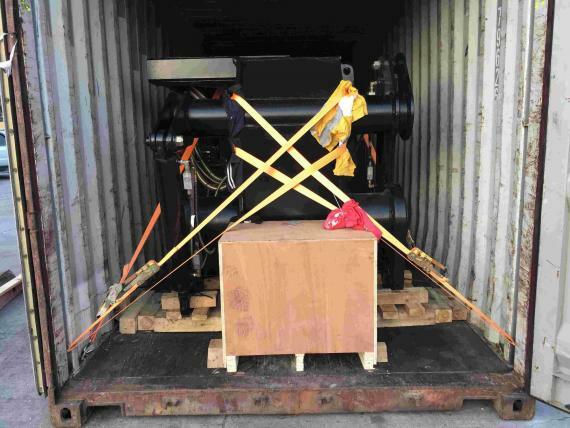 The pieces were picked up by Hannational in Zhangzhou in China and delivered to an open yard near the terminal in Xiamen where the cargo was craned, stuffed, lashed and secured into 2 x 40' FR and 1 x 40' HQ. The laden containers were then moved to Xiamen Port for shipping by carrier to Jebel Ali in the UAE. 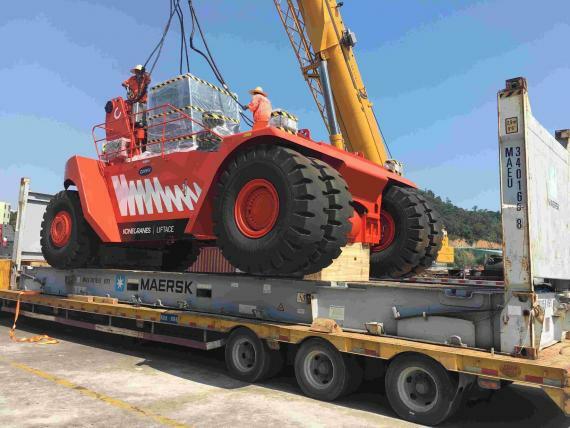 Anna Wu at Hannational comments; "The main body was too high to be transported on land on a 40' FR so we had to load and secure the cargo into containers near the terminal. 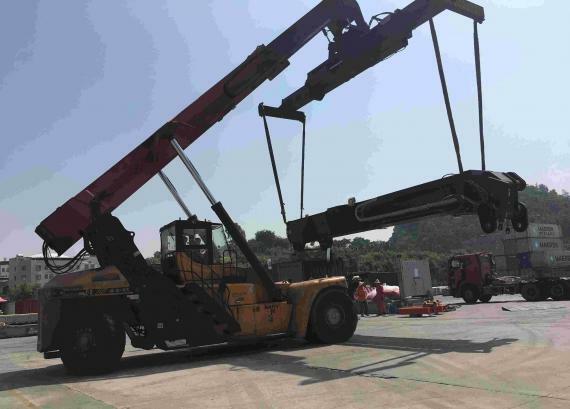 The boom length reached 11m but we managed to load it into 1 x 40' HQ to avoid using a 40' OT to save costs."